CHARLOTTE, N.C, FEBRUARY 12, 2019 — Today, Mecklenburg County’s Village HeartBEAT (VHB) program was named one of two grand prize winners of the Healthiest Cities & Counties Challenge (the Challenge) and will receive $500,000 in grants and prizes to help combat cardiovascular disease in the community. Governor Roy Cooper, leadership from the Challenge partner organizations and key community members are celebrating this achievement at the Charlotte-Mecklenburg Government Center today. 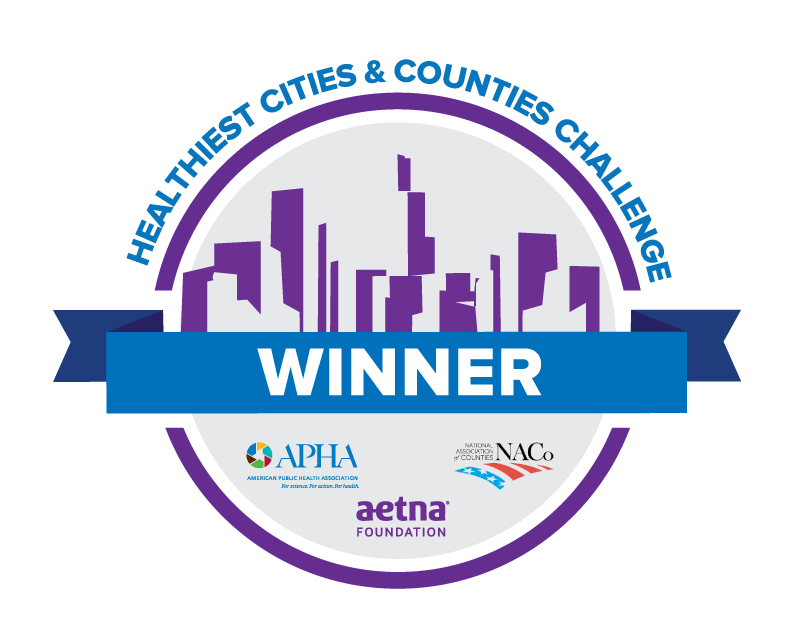 The Challenge, launched in 2016 by the Aetna Foundation, the American Public Health Association (APHA) and the National Association of Counties (NACo), empowered 50 cities and counties nationwide to make measurable, scalable improvements to pressing public health issues. Since its inception, the Challenge awarded a total of $1.5 million in grants and prizes to participating programs. In Mecklenburg County, the African-American population is disproportionately impacted by cardiovascular disease by nearly 20 percent compared to their Caucasian community members. Seeking to provide easier access to resources and meet residents where they are already engaged, VHB activated more than 60 faith-based organizations to help more than 20,000 local residents access health resources to reduce their cardiovascular risk. As a result, VHB reduced smoking in the community from 17.4 percent to 13.9 percent and obesity rates from 70 percent to 64.7 percent in just two years. “It was a program that started out very small, but as the program developed, more and more citizens got involved and I can tell you that Mecklenburg County is a much healthier place because of Village HeartBEAT,” says Mecklenburg County Commissioner Chairman and NACo Board Member George Dunlap. The awarding of the Challenge prizes, funded by the Aetna Foundation, is part of a $100 million commitment by CVS Health and its affiliates to making community health and wellness central to the company’s charge for a better world. The new Building Healthier Communities initiative, which will be funded over five years by CVS Health and the CVS Health and Aetna Foundations, builds upon the outstanding tradition of community investment by CVS Health and Aetna and helps to advance CVS Health’s purpose of helping people on their path to better health. For more information, visit www.healthiestcities.org.